Vapamore isn't the type to sit back and relax after a product launch. 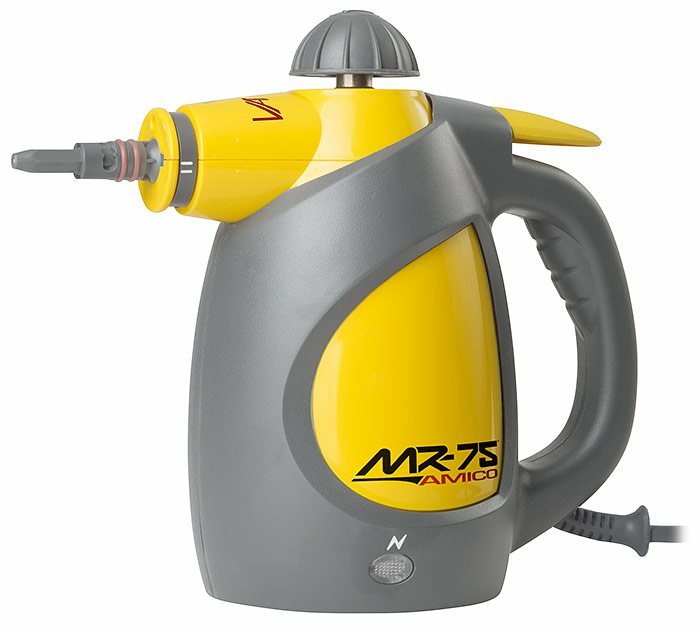 Hot on the heels of the Forza's release is a much smaller and much more consumer-oriented steamer, the all-new MR-75 Amico. 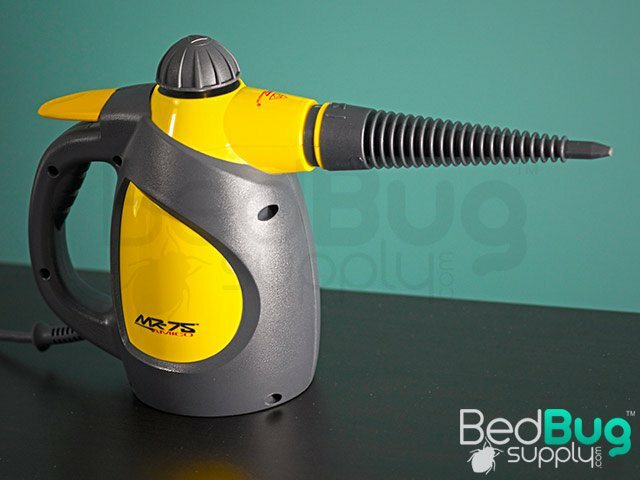 While the Forza serves as Vapamore's hefty commercial powerhouse, those looking for a hand-held bed bug steamer can't do much better than an Amico. The Amico weighs a mere three and a half pounds, but is capable of a deadly 200-degree steam temperature, with a fixed pressure of 43.5 PSI. 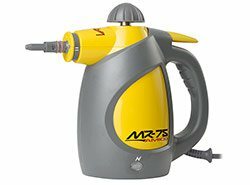 What really helps the MR-75 stand out from the portable competition is its quick 4-minute heating time; this means that you don't have to sit around waiting for the water to boil before getting to work. In our testing, we found the Amico very easy to use, with no complex dials and buttons to fiddle with - just fill her up, plug her in, and pull the trigger. The Amico completes the present Vapamore steamer lineup very well, supplementing the mid-range Mr-100 Primo and the business-grade Mr-1000 Forza. It's the most modest and moderate of the three without holding back on the force required to murder blood suckers adequately. 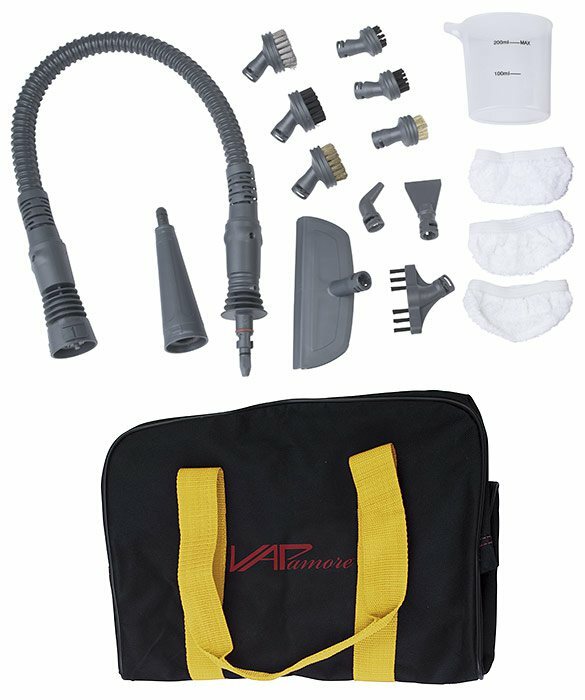 In the event that you're ready to exchange some capacity and steam time for more than enough power in an exceptionally portable package, the Vapamore Mr-75 Amico is an incredible purchase. 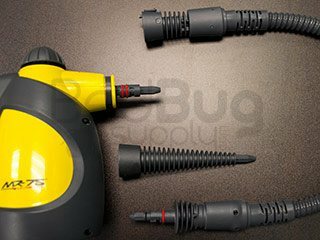 It's decently composed, simple to utilize, and powerful enough to kill bed bugs on contact. 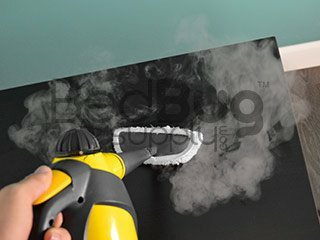 For most people looking for an affordable and minimalistic bed bug steamer, the Amico is as good as it gets. Beds bugs are highly susceptible to heat, which is why a steam treatment can be used effectively to kill bed bugs. Some bed bugs are resistant to chemicals, but none can withstand 180+ degree heat killing both bed bugs and their eggs. 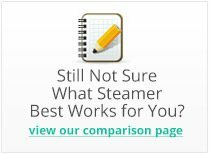 Choosing the right steamer is crucial - a bed bug steamer must be capable of hot, high-pressure steam, and must have sufficient water capacity and the right attachments included. 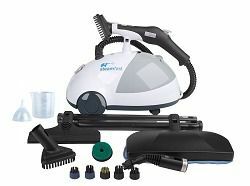 The Vapamore MR-75 Amico handheld bed bug steamer is the affordable, portable bed bug solution of choice. Despite its small, light package, the Amico is capable of deadly steam at a high pressure, and has attachments for every job. The Amico is the easiest way to begin treating your home for bed bugs, when used in combination with the other steps of our 4-step solution. The included accessories are simple to atttach and detach, the tank heats to a boil in less than 5 minutes, and high-pressure steam is expelled with a push of a button. The MR-75 Amico was built for a lifetime of use and is backed by Vapamore’s exclusive Lifetime Warranty. 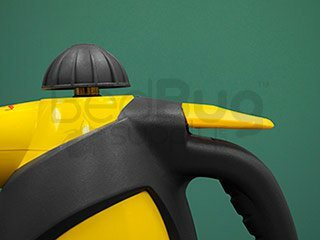 A bed bug steamer has never been this easy to use. There are no confusing dials, switches, or gauges on the Amico. Just fill the tank and plug the steamer in. When the light turns green, lethal steam is just a trigger pull away. Nothing is out of reach, thanks to the Amico’s proprietary hose extension support. Use the short nozzle when you want simple one-handed control, or switch to the extended hose in seconds. Bed bugs don’t stand a chance against the Amico’s 190 degree steam, delivered on contact and deep into walls, floorboards, and upholstered furniture. After your treatment, cleanup is as easy as a quick wipedown with a dry towel. Q: I'm Looking for something around this price but I need to know if it has an attachment that will clean blinds? Yes, the flat squeegee attachment should do the trick. Make sure that you have a dry cloth on hand to pick up moisture and dirt that's displaced by the steamer, since it does not have an integrated vacuum feature. Q: How hot does this steamer get? This steamer has a maximum tip temperature of 190° F.
Q: can I use tap water in this instead of distilled? Distilled water is strongly recommended to prevent lime and mineral buildup in the boiler. Q: will the steamer be okay tol clean other products like stains. powerful enough? also because it is so inexpensive will it really get rid of bed bugs(kill them)? 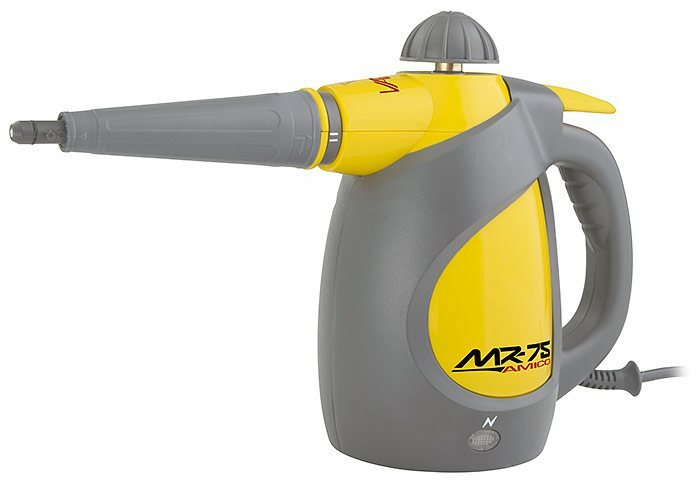 The MR-75 is originally designed as a cleaning tool, and comes with many attachments to assist with that. 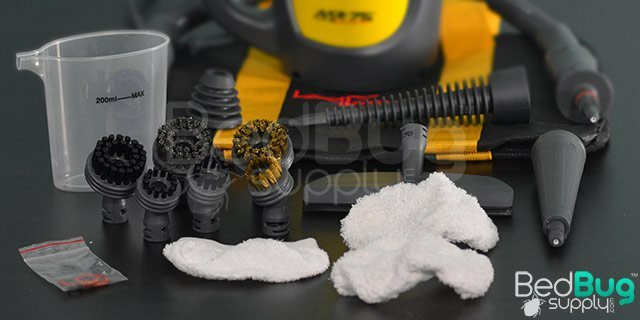 All of the steamers that we offer meet the minimum requirements to kill bed bugs. 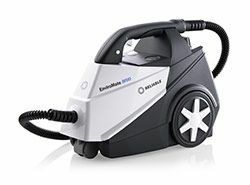 Q: Can this steamer be used safely to eliminate bedbugs from a leather convertible (sleeper) sofa? Thanks for the information. Yes, any of our steamers would be ideal for this. Reviewed by: Al from Riverside, California. Reviewed by: John from Evanston, IL. I'm very satisfied with my steamer. Reviewed by: Tina Sipple from Sparks Nevada. Reviewed by: trina from 324 bingham st apt d .
Excellent product. Easy to use and, so far, very effective. So great to find a bed bug remedy that can be used frequently with no toxic chemicals. I should add that deliver was prompt and customer service timely and courteous. Thank you! Reviewed by: Kay Weigand from Cincinnati. 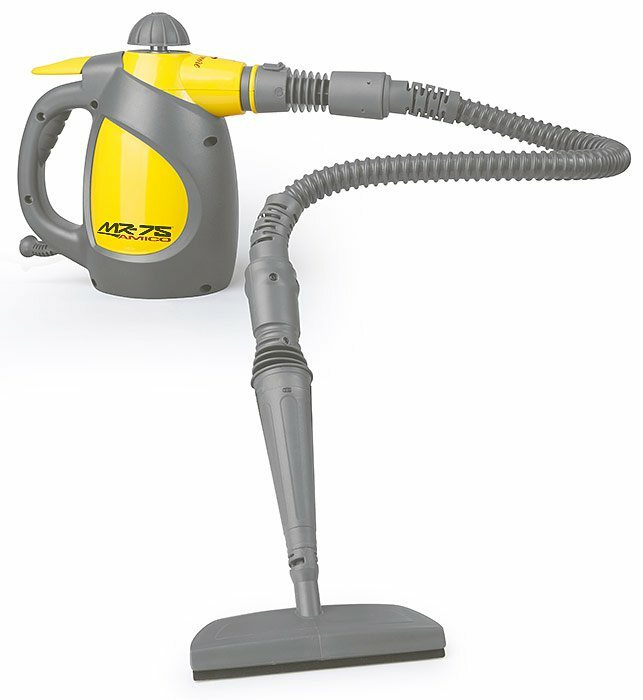 I must say I was thoroughly satisfied with the Vapamore MR-75 Amico Steamer. While it is small, it packs a good punch. I loved that it was easy to use, loved the attachments because it enabled me to cover various area well. I am steaming things and areas I would have never done, due to the convenience of this steamer. 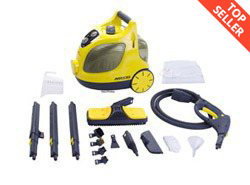 The price was very reasonable for the quality and ease of use that I received. Yes! I am highly recommending this item to my friends and family. Thank you so much for making my ordeal with my unwanted guests [bedbugs] more durable. Reviewed by: Rebecca Smith from Cleveland, Ohio.